Our recycled books program creates more affordable book buying options, and the opportunity for your books to have new homes. 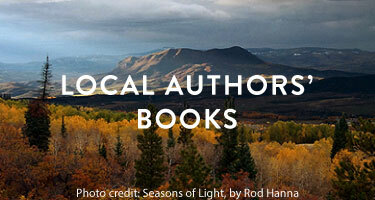 Support your local independent bookstore by bringing in your used books! WHEN CAN YOU BRING IN USED BOOKS? You may drop off your books anytime during store hours. We will evaluate your books as soon as possible and notify you when they have been processed. Any used books that we cannot sell must be retrieved! Bring in your used books – limit 2 boxes/bags per person. Complete our OTBP Recycles form, leaving your name, phone number and any special instructions. For books we can sell, we will issue a charitable donation tax receipt, or store credit if requested. You must take books that we cannot sell. Our credits are based on the expected retail value of the books. That retail value is derived from the books’ desirability, current and historic market value, in-print price, book condition, and our current inventory level. Store credit is good for 90 days from the date of issue. Exclusions may apply. IF I AM NOT INTERESTED IN CREDIT, CAN I JUST DONATE THE BOOKS? Absolutely! We will provide a charitable donation tax receipt. Your donation will benefit our non-profit partner, BookTrails, and will underwrite scholarships to help send youngsters to BookTrails summer camp. Each book is judged on a case-by-case basis. We take those we believe will interest our customers. Books must be in good condition. Business and travel books more than one year old. Books on cd or tape. Outdated computer books, textbooks, encyclopedias or maps. Books with writing or highlighting in the body of the book, torn covers, broken spines or water damage. We look forward to finding your books their new forever home!